For the project field, either select an existing project or create a new one as appropriate. Finally choose a hosting provider (DigitalOcean, AWS, Vultr etc. ), for production sites we recommend choosing a host that provides at least one gigabyte of RAM. However, for staging builds or testing environments 512MB will work just fine. After everything has been filled in go ahead and create your new instance – it may take a couple of minutes before everything is installed. To install Coaster CMS we must ssh into our new instance. There are a couple of ways to do this. We can either ssh in the traditional way using the master credentials via opening up a terminal window or click “Launch SSH Terminal”. Use the details from the “Master Credentials” tab to login to your server and navigate to the applications folder. From here navigate to your site and from within this directory enter public_html. Enter the following composer command below to download and install the latest version of Coaster CMS. Wait for the command to finish and navigate to your application within the Cloudways dashboard. Here you should find a link to your application’s URL, an example of this is shown in the image below. Click on this, and with all things hopefully being well and good you will be presented with a Coaster CMS installation page. Enter your MySQL database details as found on your applications dashboard within Cloudways. Click on “Run Install”, next you’ll be asked to setup a new admin account. Enter an email address and a secure password of your choice. You’ll then be greeted with an installation successful page that will ask whether you want to go to the front-end of your site or login to the admin. 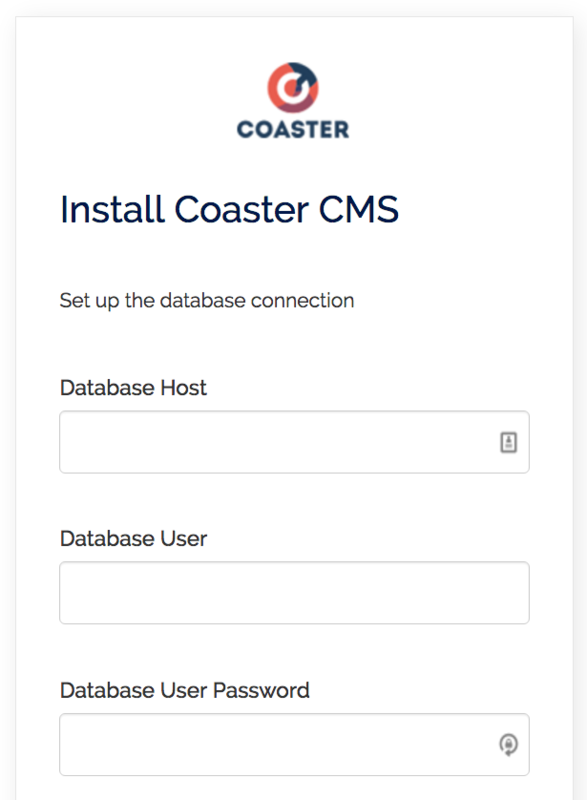 That’s it you have now successfully installed Coaster CMS with Cloudways. You now have a super speedy and responsive site.